In 1774, while leading her religious sect from England to America, Mother Ann Lee didn’t imagine for a second that hundreds of years later her name and the beliefs she held so dearly were going to be tied very close to an established furniture industry. The Shaker style furniture comes from the Shakers (officially known as the United Society of Believers in Christ’s Second Appearing) and is one cultural item that stood the test of time, becoming more and more popular over the years. The Shaker style furniture pieces were hand-made out of solid wood and was very appreciated because its simplicity, its resistance and even its looks, as such piece of furniture can complement both a traditional designed home and a modern one. Some Shaker style furniture pieces make now the collections of museums and art galleries, while in history, they managed to inspire larger social and cultural movements, such as the German Bauhaus movement in 1920′, as “less is more” was not only a slogan, but a Shaker – inspired attitude. Later on, the Shaker style furniture had an impact also on the Danish Modern Movement, one that insisted on simplicity, durability and elegance. Purity of form was indeed something the Shakers had in mind when they crafted their immortal pieces of furniture and nowadays, modern designers and furniture manufacturers take pride in producing Shaker style furniture pieces in a high quality manner, out of the best materials. So let’s see what’s so special about the next pieces and why we should consider decorating our houses in this particular style. One of the most famous Shaker furniture pieces, the chairs are both solid and comfortable and even if they don’t look like the modern ones in terms of fabrics and materials, these chairs are being sold in America since 1790, when the Shakers started to sell their hand-crafted pieces to the public. It still looks good in traditional living rooms with a feeling of sobriety, but the kitchen ones can give a kitchen the air of a long-forgotten comfort that raises memories and makes people feel like home. 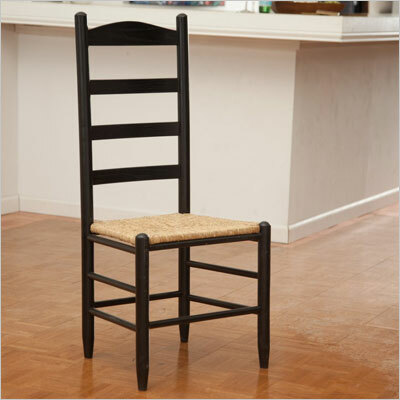 If you want to buy your own Shaker style chair, HERE is where you can find a classic model. Another famous piece hand crafted by the Shakers is the table. What’s so special about a table, you may wonder? Well, the original manufacturers believed in reliable objects and today, the mass manufacturers promise these tables will last us for a lifetime. American solid oak, maple, walnut, cherry, these were the materials of choice and today, Shaker style furniture (especially tables) come in different shapes, while all keeping the same quality: elegance. If you’re a fan, you can still find original artisan’s works, but they can cost up to several thousands of dollars, since they are rarities. 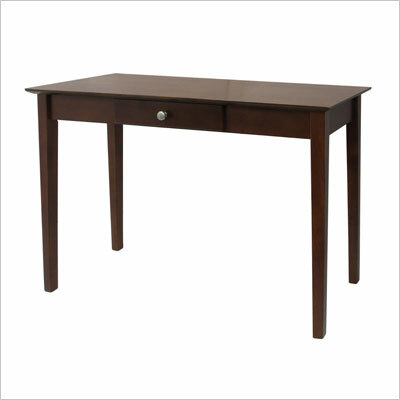 HERE is where you can buy a stylish Shaker style table for an exquisite interior design. The Shakers believed in worshiping God with their hearts pure and free from any additional adornment, and their strife for purity can be easily seen in their crafts. 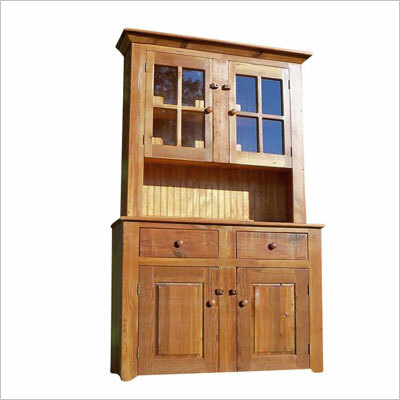 A Shaker style China cabinet is functional to the extreme, but lacks any other decorative elements. These cabinets are as solid as they can get and make a modern kitchen look both rustic and elegant. This type of cabinets compliment any wooden house with an intended simple and majestic look and don’t you think that just because they lived hundreds of years ago, they couldn’t grasp the concept of utility. The ones you can find on the market can get quite expensive, but they are worth the price. 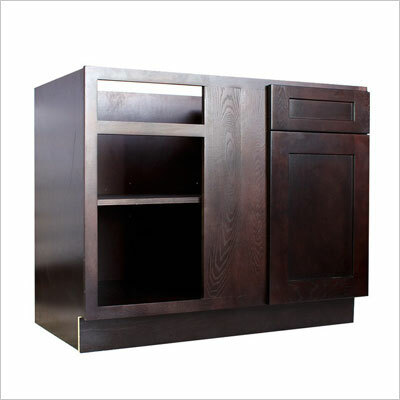 HERE is where you can get a Shaker style cabinet, made modern and yet solid, classy and reliable. May them be simple chests or drawer chests, if you see one now, you might think they’re vintage, something only your grandmother could appreciate. You couldn’t be more wrong. The mass producers of today’s industry dispose of a large consumers’ market as more and more Americans tend to return to some ancient origins, where durability and comfort were strong social values. A modern house, all glass and steel might benefit less from this type of furniture pieces, although even contemporary interior designers manage to combine the old and the new with spectacular results, but a traditional house, built on the principles of warmth and style might show its visitors some of these chests around the house, as a statement of American tradition and taste. HERE is a rarity you can buy, knowing that you got maybe one of the best Shaker style furniture pieces on the market. 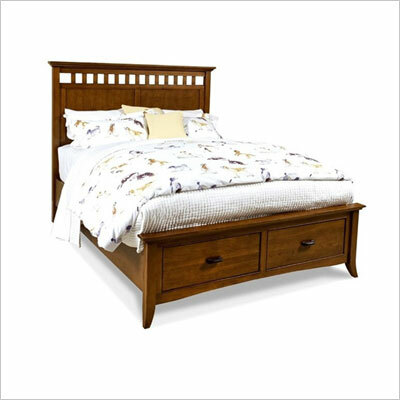 As opposed to the minimalist Asian – influenced bedroom furniture, the Shaker beds are advertised by their manufacturers as having the quality to transform the bedroom in a sanctuary and if you take a look in any catalog, you’ll realize the Shakers were on to something. You won’t find narrow, low Shaker beds or ones that look like a mattress put over four legs and dropped on the floor. On the contrary, the Shaker beds are large and solid, very suitable for matrimonial bedrooms, built in solid materials. Even if they were sleeping in narrow one person beds, as you may find in the archives, having a good insight on people’s needs and a very good selling gene in themselves, the Shakers offered the public solid, comfortable beds. You may also find classic Shaker beds built in the Pencil Post manner, the industry reviving 300 years old classics. And if you’re really set to make your own furniture, as affordable DIY projects of interior design are extremely popular these days, here is a guide book to help you build your own Shaker style bed. However, if you want to buy an already made one, HERE is where you can begin. The Shakers sold furniture to the American public until mid 1900, but their selling gene whispered them they should release a furniture catalog, so people could choose what to buy. Around 1870, they started distributing the catalog on a national level and it contained chairs, tables and other furniture items. 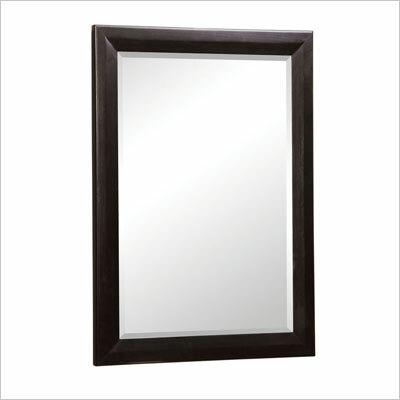 Among them, we are still very fond 0f the Shaker style mirrors, usually presenting themselves in oval or square shapes and the universal wooden frame. In contemporary houses you may see these mirrors as making part of larger ensembles of wooden bathroom furniture or rustic designed bedrooms. HERE is where you can buy one and turn your place into a statement of elegance. You’ve probably understood by now that the Shakers were inventive, practical people and no matter how simple their life was, kitchen cabinets were a must. You can buy Shaker style furniture pieces from a reliable manufacturer and keep them in their natural wood colors but… you can also consult with an interior designer who will integrate your Shaker kitchen cabinets into a modern looking kitchen with an impressive result. Being so simple and needing not much consideration when matched with other pieces of furniture, the kitchen cabinets can be painted in white and become the part of a larger design, with modern material backsplash, glass and steel accessories, designer floor tiles and so on. 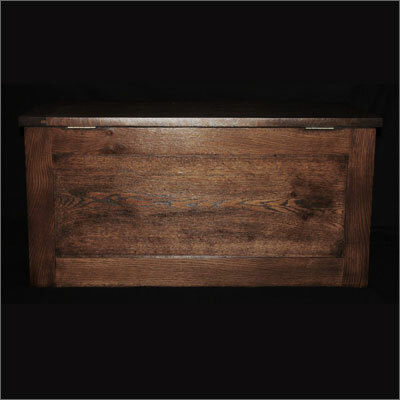 You can start shopping HERE and go on looking for the best Shaker style furniture pieces to match your taste and needs. You might think that back in the 1800, people didn’t have home offices, but creating and developing a furniture catalog must surely have taken place in a room with a desk, right? Some manufacturers advertise their Shaker style furniture as a way of going back to the basics and a lesson of keeping things ordered, clean and tidy, just like the Shakers wanted. 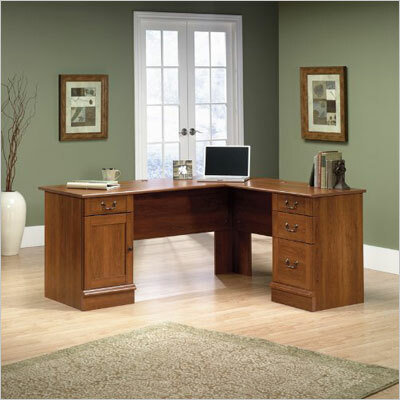 A Shaker style office home desk is by definition simple, comfortable and easy to manage. The original models were provided with drawers and everything a person would have needed to properly do their jobs, and the modern ones are not far from their ancestors. You can even find double – pedestal desks and drop – front desks for the ones inclined to a vintage home design. You can buy HERE a Shaker style laptop desk that will satisfy both your practical and style needs. What’s better in life than sitting on your house’s porch, breathing the fresh air, watching the kids play, counting stars and thinking about immortality? If you could do all that in a rocking chair. Maybe modern design brought us hammocks and rocking soft sofas, but an old classic Shaker rocking chair, famous in its passed times, can make a porch, a patio or a front yard look like taken out from an old movie or story. 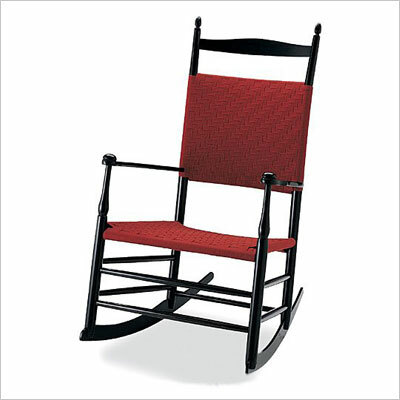 HERE you can buy an authentic Shaker style – high back, double wide headrest, contoured seat and back – rocking chair. Did you know the Shakers invented the flat broom (as opposed to the bundled sticks), the common cloth pin, the rotary oven or the circular saw? They were very involved in technology and embraced it with their hearts open, against the public common confusion with other religious sects, so a wall clock may not be such a surprise after all, seen in a Shaker perspective. These clocks look massive, old and perhaps hard to maintain. In today’s digital world, we can tell time and read e-mails from our smartphones, so who needs a tower clock in their living room? May be the case, but some interior architects are still interested in them while conceiving new home designs and if they continue to sell, it means they still have buyers, right? 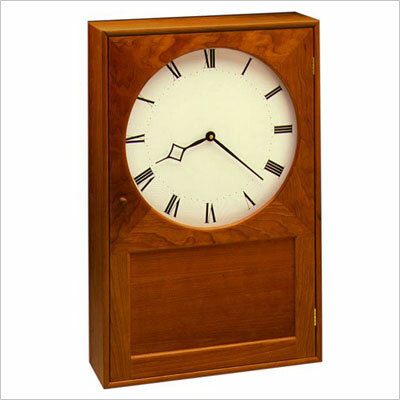 HERE you can buy a Shaker style wall clock that will make your home look spectacular. What are the Shaker style furniture pieces that you liked most? What type of furniture do you prefer? How’s your house looking like? Are you into modern minimalism, classic or shabby chic? Do you consider a house fully displays its owner’s personality or nowadays we’re renovating our homes depending on the budget? Tell us what you think! Thank you for your observations and your willingness to host us to see and understand for real what Shaker style furniture really means.There is a lot to learn from our part and we have not enough words to thank you for making some things clear to us, helping us to provide our readers with the most accurate of information. In due time we will also make the necessary changes so our readers to have the best image and knowledge regarding Shaker style furniture pieces. Thank you again for your helpful intervention! If you use pictures of our REAL Shaker reproduction chairs, table, and Shaker “influenced” china cabinet pictured on 10 Shaker Pieces for Trnedy Homes, you might at least provide a link to our extensive website rather than a link to a piece of furniture for sale on Amazon that is NOT in the Shaker style at all. Also, the chair you have pictured as Shaker, isn’t close. If you’d like to know more about Shaker furniture perhaps you’d like to come to Bethel, Maine and spend a few days with us and build a chair. We’d love to have you or any of your readers visit and take the tour. Kindly, S. Ross Timberlake.